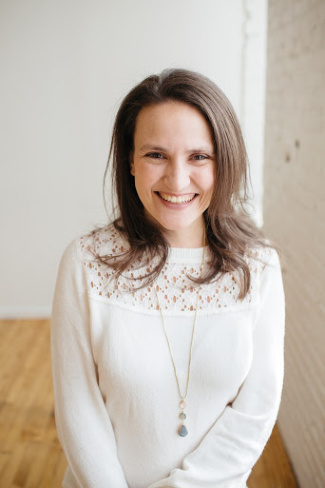 Creating your baby's first Montessori environment can be such an exciting process. Picking every little detail feels like such an important decision inn creating that perfect environment. And when it's all pulled together it is so much fun watching your baby explore and grow in the space. 1. Sprout Kids Infant Shelf - I love this shelf! 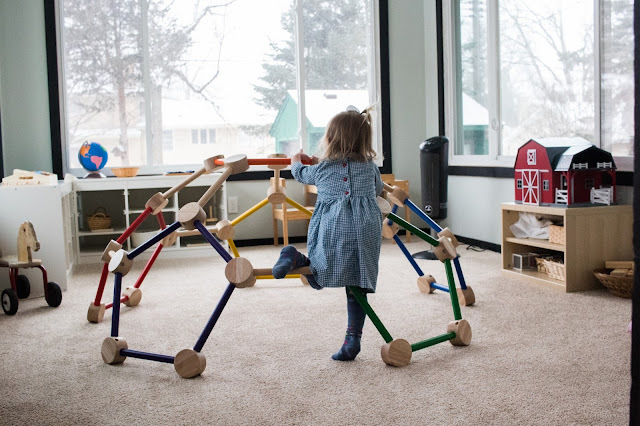 Its newer to the market, but made specifically for Montessori environments. It's solid and beautiful without being super expensive. 2. Small Wooden Shelf - I like that this is low to the ground but provides some height to grow with the child. The price is also really nice! 3. Small Besta Frame - This is the shelf we have used for Nora and Gus. It's super cheap, and also super small. It's a perfect first shelf but babies do outgrow it quickly. 4. 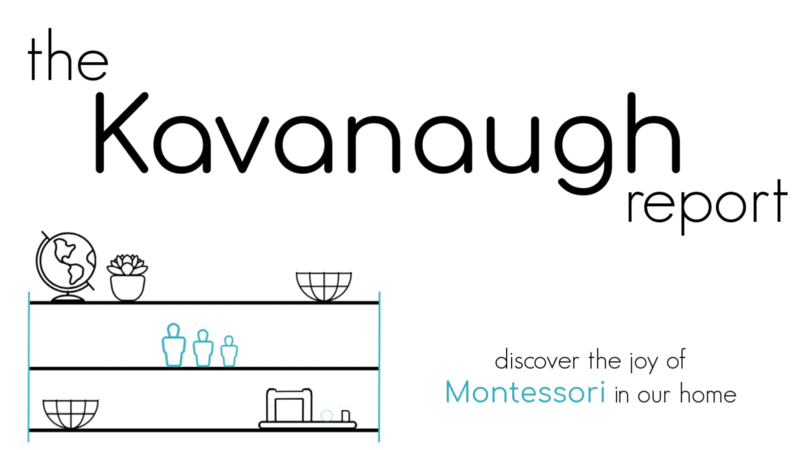 Low Shoe Rack Shelf - There's no reason you can't get creative in a Montessori environment! A shoe rack like this one can make a great first shelf. But, it will be outgrown more quickly. 5. Kallax Frame - This can be tipped on its side and used for an infant. We have a similar cube shelf at our home. They work alright, but are less flexible as a child grows because of the small cubes. It's a good place to start it just doesn't grow well with a child. 6. Low Wooden Shelf - This shelf is also great for starting out but with flexibility to grow. 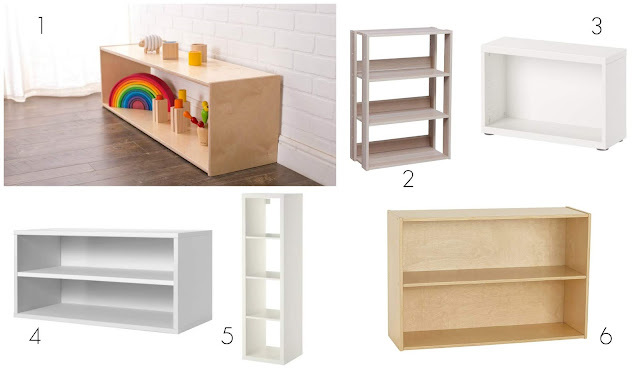 With the higher shelves it will last well into preschool years, but it's much more expensive. 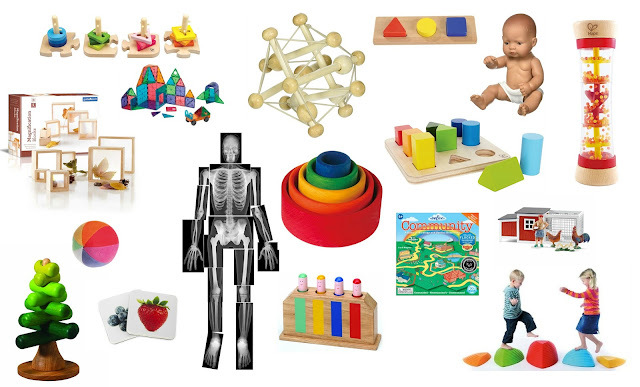 This is definitely just a small sample of what is available that could work as an infant shelf. Be creative and flexible and you can find one that fits your needs! 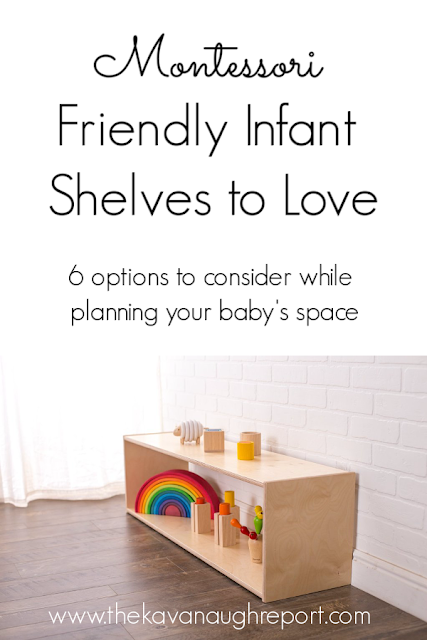 What have you used for an infant shelf? What are you planning to use? I use the IKEA RAST bedside table. It’s the perfect height, $15, and solid wood. I bought more as we needed the space. Those are discontinued! So sad to see those go!